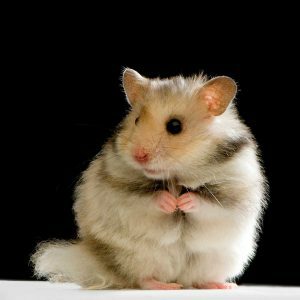 What if your hamster could be taught how to use a designated litter box? It’s doable! And here’s how you should go about it. 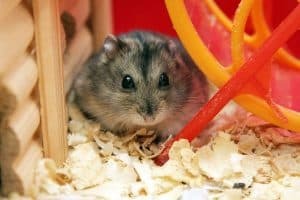 Think your hamster may be lonely? 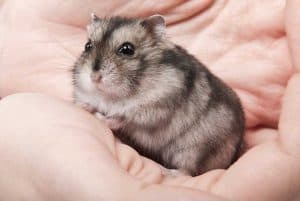 Considering getting him or her a friend? Think again! 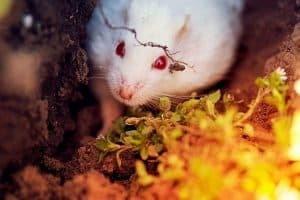 Here’s why you shouldn’t do that. 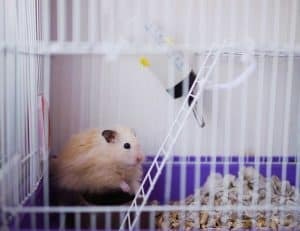 Wondering if your hamster is drinking enough? Or maybe too much? 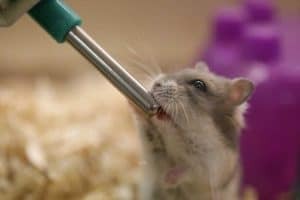 This guide has you covered with solid information on water consumption in hamsters – and how to make sure your pet is fully dehydrated. 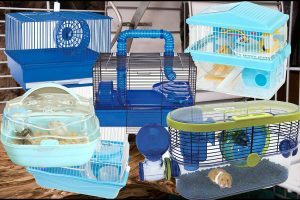 A hamster wheel or spinner is a must-have for any hamster, of any breed. How to choose the right one though? What size should you get? What materials? 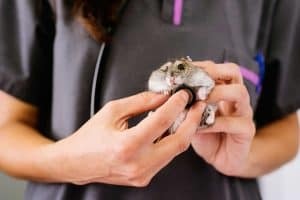 And how to make sure it doesn’t squeak? All is revealed in this guide! 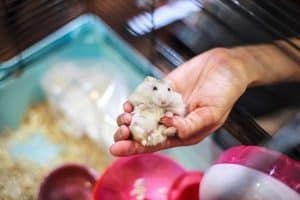 Not sure whether your sweet little hammy is a Syrian, a Robo or a Siberian? 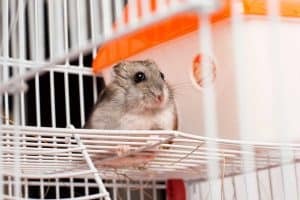 Here’s how to tell what type of hamster you share your life with! 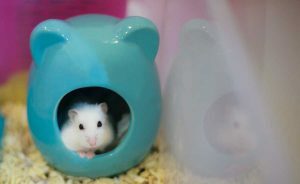 Your hamster can benefit from a tunnel system, allowing him to safely roam and explore. 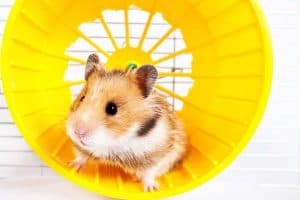 Here’s everything you need to know about setting up a perfect tunnel for your furry friend. 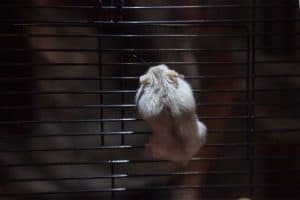 Fortunately, it’s a rare occurrence in hamsters but nevertheless, it can happen! 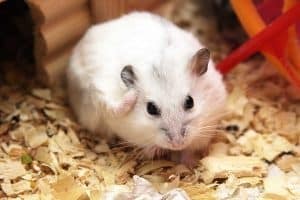 Hamsters can get fleas and you need to know how to handle the situation. 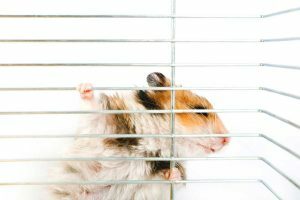 Here’s everything you need to know about the problem (and the possible solutions). 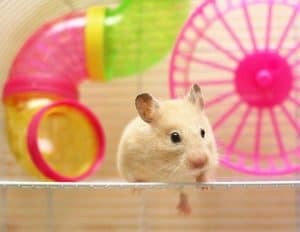 A bored hamster is an unhappy one. 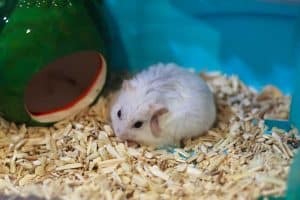 It’s up to us as caring owners to make sure our little pet is happily engaged in a variety of activities. 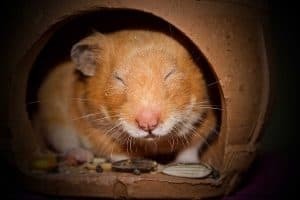 Here’s how to tell if your hammy is bored and 10 ways to help make him happier. 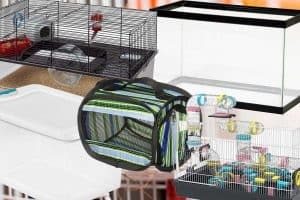 Trying to help your hamster to sleep by covering the cage? Let’s see if this is really a good idea… or not. 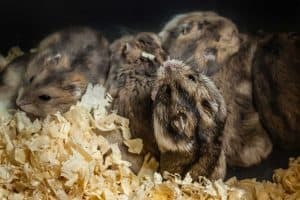 Here’s what this natural behavior means for your hammy and what you need to do in order to facilitate it. Let’s dig right in! 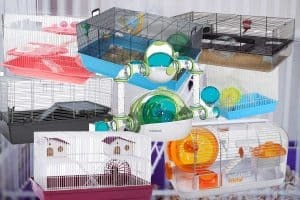 Hamsters have only fairly recently joined us as pets. 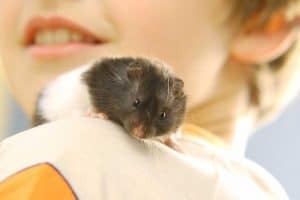 Are these semi-wild rodents actually friendly towards their owners then? We’ve set out to find the answer.